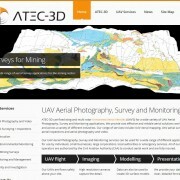 A smart, professional website for a Kent based company providing Aerial photography, videography and survey services using unmanned Aerial vehicles (UAVs). Features intuitive navigation, responsive design, automated backup and full SEO compatibility. E-Commerce functionality to come. 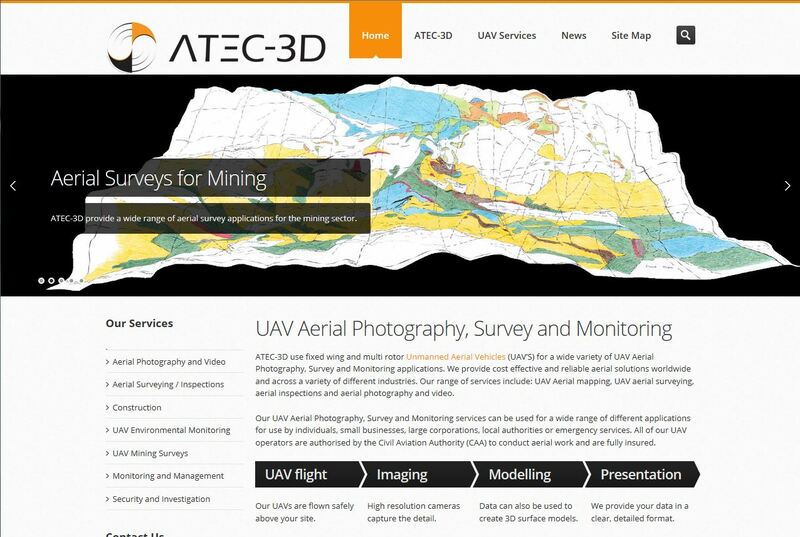 All copyright for the Atec-3D website is owned by Atec-3D Ltd.
We decided to contact Mat Mackenzie following a recommendation from another business contact. From our first meeting Mat’s friendly and professional nature put us at ease and he understood exactly how we wanted our website to look. Whilst constructing the website Mat was always on hand to answer any questions or concerns we had and kept in constant contact. Mat is a very talented designer and thanks to him we now have a stunning, eye catching website. We are absolutely delighted with the result. I would not hesitate to use Mat Mackenzie again and would highly recommend his services.